We’d like to say a heartfelt thank you for your continued support, and send our best wishes to you & your families during this special time. OFFERS END MIDNIGHT, 28 FEBRUARY 2019. 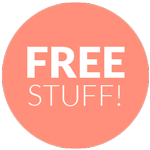 Get Free Stuff with any Website or SEO Package – all Summer long! With any SEO Plan (min 3 month term). Terms & conditions apply, contact us for details. With any new website build. OFFER ENDS MIDNIGHT, 28 FEBRUARY 2019. TERMS & CONDITIONS APPLY. GET YOUR SLICE OF SUMMER!